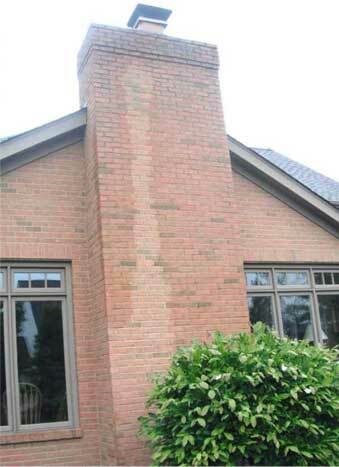 Do you have a leaking chimney? Beginning late each fall and through the rainy season, we field dozens of calls from about water coming in, down, and around their chimneys and fireplaces and stoves. We’ve had clients in newer homes literally collecting pans of water in the fireplace or wood stove alcove. There are a number of things we look at in diagnosing the source. Water penetration can lead to damage costing hundreds or even thousands of dollars to repair. Don’t let this problem go unresolved. ChimneySaver Water Repellent will waterproof your exterior masonry and is guaranteed to last for 10 years. Wanting to solve your water problem yourself? No problem, you can buy ChimneySaver products at the amazon affiliate links provided below. If you can’t solve this type of problem, don’t worry – that’s why we’re here. Just give us a call at 513-662-4600 and we can have one of our chimney sweep technicians out to help diagnose the problem and recommend solutions.